Tonight we celebrated St. George’s Day and also met Wally Avery who, as part of our Community Challenge badge, told us all about how Crawley has changed since he came to the Town from Lewisham (South London) in the early 1960’s. 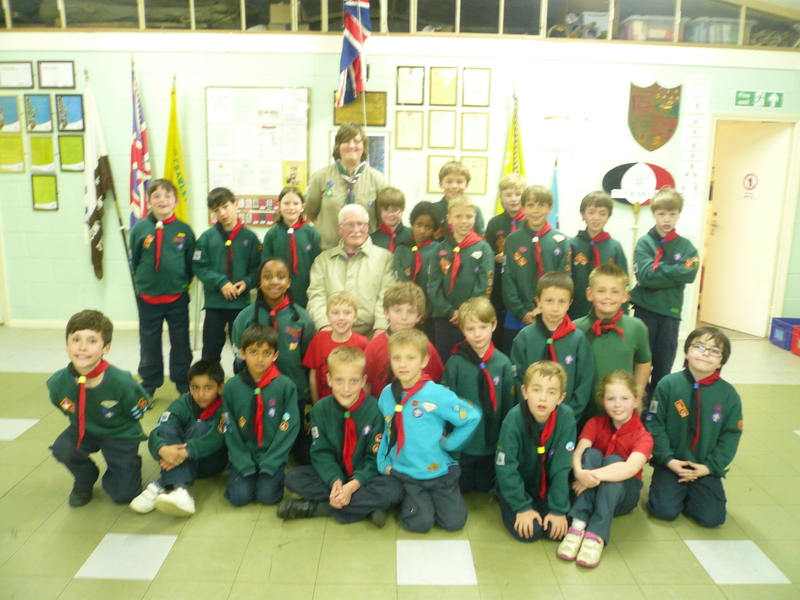 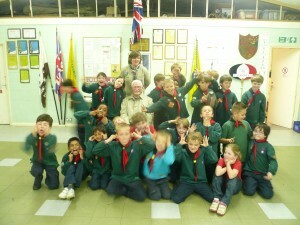 Wally was a founding member of this Group and was appointed our first Cub Leader in 1966. 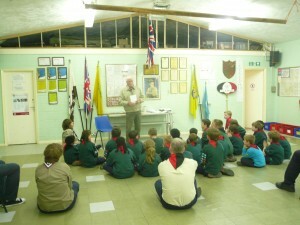 He later became Group Scout Leader and the District Commissioner for Crawley. Wally was also involved in the building of our present Headquarters in Water lea. 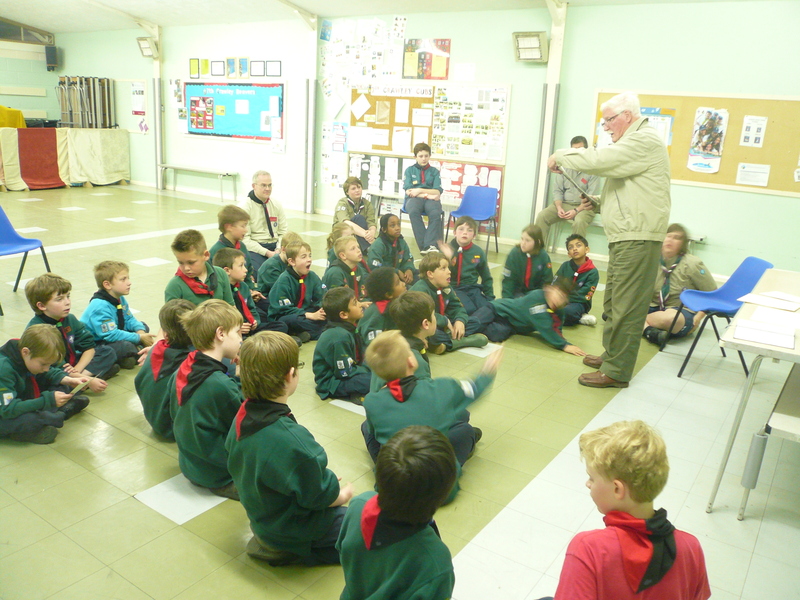 We were shown some old photographs of Wally in his pre-1966 (khaki) uniform as well as later shots of the Pack in the 1970’s. Akela and some of our other leaders remembered well wearing the green cap on their heads and garters in their socks – Happy times!! Thank you Wally for a very enjoyable evening. 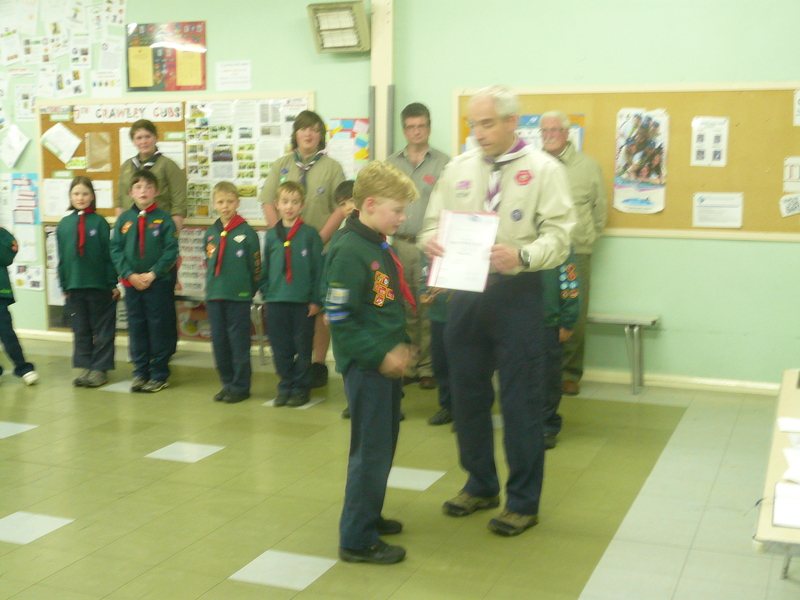 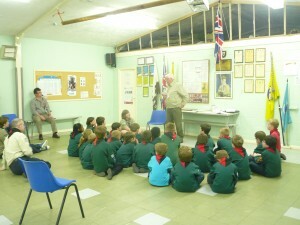 Congratulations also to Kit being presented with his Chief Scout Silver Award. Enjoy the photographs AND ………………………where’s Wally?